Haywards Heath benefits from an active and supportive community with many local based voluntary organisations, charities and community groups. Please read below for more information about local charities, support groups and Charity shops in Haywards Heath. The Mayor's Charity, The Dame Vera Lynn Children's Charity is a small local charity dedicated to supporting families with children under 5 years old with cerebral palsy and motor-learning difficulties. The Charity was created to give very special children a place where they can learn and thrive in a warm, supportive setting that understands their unique journey. Through Their early intervention service and support network, they work alongside our families to give their very young children the best possible start in life – so that they can realise their full potential. To find out more about the charity and the wonderful work they do, please click here to visit their website. MSVA is an independent charity established to work across Mid Sussex offering advice, information and support to local voluntary organisations and community groups. To visit MSVA's website, please click on their logo above. Counselling Directory was launched in 2005 and provides information and support to counsellors, psychotherapists and people seeking support. They have over 10,000 qualified counsellors listed with us, so we are sure the right person is waiting to hear from you and you can search by area. To visit the Counselling Directory, please click on their logo above. Action for Deafness is a charity founded by deaf people and for deaf people in West Sussex. With drop in centres in Haywards Heath and Worthing, it offers a range of services and equipment to help residents suffering from hearing loss. To find out more Action for Deafness, please click on their logo above. Age UK West Sussex is a registered charity providing services to improve the lives of the elderly living in West Sussex. Based in The new Haywards Heath Centre, AGE UK West Sussex provides a range of services and events for older people living in Haywards Heath. To visit the website of AGE UK West Sussex, please on the logo above. To view the latest information about the new Haywards Heath Health Centre, please click here. The Bluebird Community Partnership aims to help and support the community of Mid Sussex, East Grinstead and Henfield by providing transport to all those who, because of disability, age or disadvantage, have problems accessing public transport. They offer transport to AGE UK Centres in Burgess Hill, East Grinstead and the Haywards Heath Redwood Centre, a Community Bus in Mid Sussex and group hire for charitable organisations and non-profit groups. To visit the Bluebird Community Partnership website and to find out more information about the transport, please click on the logo above. CARE in Haywards Heath is a voluntary group offering help and advice to residents of Ansty, Cuckfield, Haywards Heath, Horsted Keynes, Lindfield, Scaynes Hill and Wivelsfield. 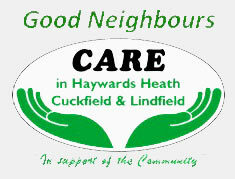 To find out more information about Care in Haywards Heath, please click on their logo above to visit their website. 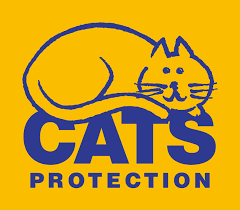 Cats Protection is the UK’s leading feline welfare charity and has a national Cat Adoption Centre in Chelwood Gate, Haywards Heath. Its vision is a world where every cat is treated with kindness and an understanding of its needs. To find out more about this charity and the work it does, please click on their logo above to visit their website. Chestnut Tree House is the children’s hospice for East and West Sussex, Brighton and Hove and South East Hampshire and cares for 300 children and young adults from 0-19 years of age with progressive life-shortening conditions. 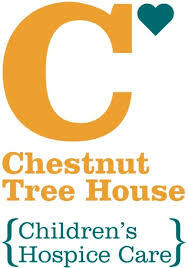 To visit the Chestnut Tree House website, please click on their logo above. Opened in 2017 in Haywards Heath, Early Action for Autism offers a programme for children and young adults with autism and related disorders. The Friends of The Princess Royal Haywards Heath was established to supplement the services of the hospital for the health, welfare and comfort of patients by the provision of facilities, buildings and equipment which may be required for the treatment of patients or the running of the hospital. Also to provide or assist in the provision of amenities in the hospital for patients, staff and visitors including the provision and operation of hospital shops. To find out more about the Friends of The Princess Royal Haywards Heath, please click on the logo above to visit their website. Furnihelp Mid Sussex is a Charity to help people in need in Mid Sussex to furnish their homes. Furnihelp builds up a stock of second-hand furniture, household goods and equipment from donated items and makes these available to local people in need of help. The furniture is supplied free of charge although they are always happy to accept a donation to help towards their running costs. To visit the Furnihelp Mid Sussex website, please click on their logo above. Haywards Heath Foodbank is part of a nationwide network of foodbanks providing nutritionally balances emergency food and support to residents from Haywards Heath referred in crisis. 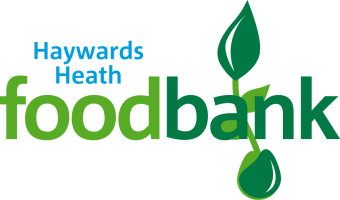 To find out more information about the Haywards Heath Foodbank, please click on the logo above to visit their website. Haywards Heath Lions Club is a friendly service organisation, part of Lions International, who work together to answer the needs that challenge communities around the world. Known for working to end preventable blindness, Lions participate in a vast variety of projects important to their communities. These projects range from cleaning up local parks to providing supplies to victims of natural disasters. Beginning in 1917, the association of Lions clubs has provided millions of people with the opportunity to give something back to their communities. To find out more about the Haywards Heath Lions or join in some of their fun fundraising events, please click on their logo above to visit their website. Rotary exists to combine friendship, fellowship and having a very enjoyable time whilst at the same time doing our best to support good causes both locally and beyond. In recent times The Haywards Heath Rotary Club have helped Ashenground Community Centre, Age UK, Safepoint, Starfish Project and many more. They have many outings and social events throughout the year as well as some activities specifically targeted towards fundraising. To find out more about the Haywards Heath Rotary Club, please lick on their logo above to visit their website. The Haywards Heath based Charity, Kangaroos has developed its diverse range of activities through consultation with our young members and their families. We currently support children and young adults from age 6 upwards with a wide range of learning difficulties and special needs including autism, cerebral palsy, Down's syndrome, challenging behaviour and complex medical conditions. We take a person centered approach offering activities, which as well as being enjoyable, seek to improve and enhance the lives of our members. Families also benefit by having a well-earned break knowing that their young person is being well cared for. We run a range of different clubs for specific age groups and activities are run from a range of local community centres as well as trips out to many exciting and fun venues. To find out more above the Kanagroos, please click on their logo to visit their website. The WI plays a unique role in providing women with educational opportunities and the chance to build new skills, to take part in a wide variety of activities and to campaign on issues that matter to them and their communities. To visit the Women’s Institute website or to find your local WI, please click on the WI logo above. The vision of the IMPACT Foundation is a world free from needless disability. Based in Haywards Heath, IMPACT believes that no one should become or remain needlessly disabled through disease, lack of knowledge or shortage of medical services. To find out more about the work of the IMPACT foundation, click on the logo above to visit their website. Founded in 2004, Mid Sussex Older People’s Council (MSOPC) is an independent local charity, run by older people, for the benefit of Mid Sussex older people. MSOPC is managed and run by a Board of six Trustees and a Management Committee of ten, all of whom are volunteers and have a strong connection with other voluntary and statutory organisations working with local older people. We work with these organisations to ensure that the interests of older people across Mid Sussex are well served. To visit the website of MSOPC, please click on the logo above. St Peter and St James Hospice is a registered charity to support people and their families to live well towards the end of life by providing compassion, hope and quality care. To find out more about the good work of St Peter & St James Hospice, please click on the logo above. 4Sight is a charity supporting people with sight loss in West Sussex. To visit the 4Sight website, please click on the 4Sight logo above. The Help the Aged Charity shop in South Road raises funds to support Age UK’s vision of enabling everyone to love later life. 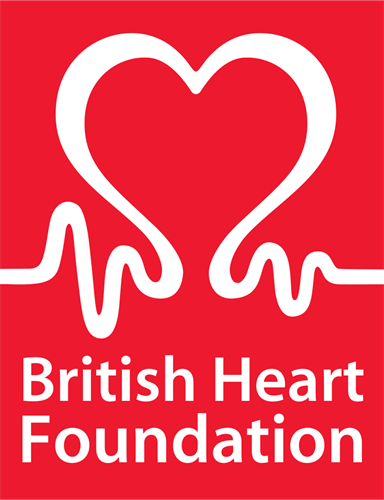 The British Heart Foundation charity shop in South Road sells a range of good quality pre-loved items as well as brand new goods. Find yourself a bargain with our second hand clothing, handbags, toys, shoes, books, music, toys and household items. We also stock greeting cards for all occasions, pin badges and small gifts. By shopping or donating you're helping us to continue our life saving work. The Cancer Research UK Charity Shop in South Road helps raise funds for research into understanding and curing this disease. It stocks a range of clothing and accessories, quality homewares from cushions to crockery and books. 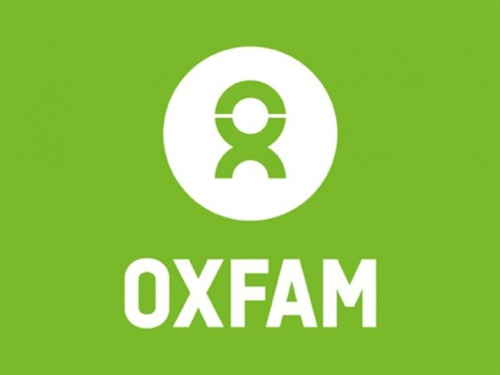 Oxfam has a shop and clothing bank in Haywards Heath. The shop located in South Road and Clothing Bank located at Sainsbury’s in Bannister Way help Oxfam to achieve its goal of fighting poverty and changing people’s lives around the world. 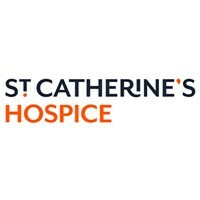 St Catherine’s Hospice is a local charity to help everyone face death informed, supported and pain free. Providing expert hospice care, they offer support for people in West Sussex and East Surrey when life comes full circle. By donating or shopping in St Catherine’s Hospice Shops, you are making a difference to the lives of terminally ill people in your community. 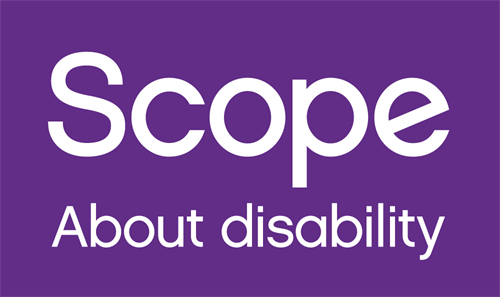 The Scope Charity Shop in South Road helps raise funds to achieve Scope’s aim of making this country a place where disabled people have the same opportunities as everyone else. The Haywards Heath shop sells quality new and second-hand clothes. Books, accessories, homeware and collectables. The Children’s Trust Charity Shop in South Street Haywards Heath raises money for this Charity which offer valuable support for children with brain injury. As well as the usual range of charity shop bargains, this town centre store is well stocked with nursery equipment safety tested before resale, and a wide range of small electrical items PAT tested for safety. Bring a bag and get the team to help you stock up on some real treasures at affordable prices. The St Peter & St James Charity Shop in Sussex Road Haywards Heath raises money for the St Peter & St James Hospice. It is one of their larger shops and offers some extra ranges of products such a linen, curtains, children’s toy and clothes and a large selection of books. Parking is available and free outside the shop for 30 minutes and also in Triangle Road.